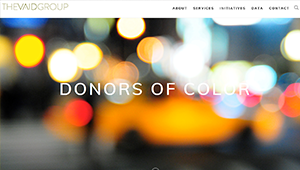 The Global Chinese Philanthropy Initiative (GCPI) is a unique bilateral research project that examines the contributions of Chinese and Chinese American philanthropists in the U.S. and Greater China. 06/27/2018. On June 28th, the Global Chinese Philanthropy Initiative and Tsinghua University joined hands to organize a high-profile dialogue between Chinese philanthropy stakeholders of all kinds. Covered by over 20 global print, online and TV media outlets, the event attracted some of the world's most renowned philanthropists, scholars, officials and foundation leaders, who had gathered to discuss the development and future of Chinese philanthropy. 11/24/2018. Taiwanese American businessman Jackson Yang has donated $1 million to UCLA's Taiwan Studies program through his charity fund, the J. Yang and Family Foundation. The news was officially announced at a ceremony that took place at the UCLA campus' Carne Sale complex on November 16th. At the ceremony, Jackson Yang elaborated on his family's journey that brought them from their humble beginnings living in Taiwan to realizing their American dream in Los Angeles. He also explained his sentiment that it is important for second, third and future generations of Taiwanese Americans to continue to be made aware of their Taiwanese cultural heritage as they themselves branch off to create their own versions of the American dream. Cindy Fan, Vice Provost for International Studies and Global Engagement and Min Zhou, professor of sociology and Asian American Studies and Director of the UCLA Asia Pacific Center each expressed their sincere gratitude to the Yang family on behalf of UCLA. They detailed how the donation would serve to not only strengthen US-Taiwan academic exchanges but would also fund two endowments for student scholarships and Taiwan studies conferences and lectures. 10/02/2018. Despite his humble upbringings, John Long has managed to make a name for himself as a business leader in the Southern California real estate industry, a prominent Chinese American philanthropist and as a Chair and key donator to two University of California institutes. Feeling increasingly compelled to contribute and give back to society as his private wealth grew, John, in 1992, decided to establish the Long Family Foundation, which he manages together with his wife Marilyn. The Foundation's projects have quite quickly grown in number as well as scope since then. 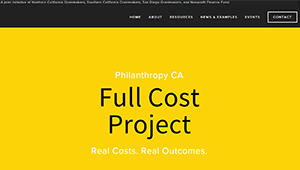 With earlier projects including the aforementioned institutes – The UCLA real estate institute and UC Irvine Long US-China Institute – the recently-founded Global Chinese Philanthropy Initiative (GCPI) is a particular point of pride for John. With Asian Americans being characteristically quite low profile with regards to making charitable donations, they are often perceived as not being as engaged in philanthropy as a group. GCPI was set up, initially, to once and for all dispel that myth by means of conducting groundbreaking academic research into the matter. 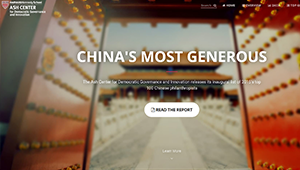 GCPI also aims to bridge the gap between the US and China by bringing American-Chinese and Chinese philanthropists together to forge a bond and help both countries evolve for the better. 07/17/2018. Stewart Kwoh, a renowned American Chinese lawyer and civil rights advocate founded the nonprofit organization Asian Americans Advancing Justice in 1983. The organization is America's largest organization that focuses on protecting the legal and civil rights of Asian Americans. Yearly, it provides legal education and other services to over 15,000 Asian Americans. Stewart originally took up the torch as civil rights advocate in 1982 after an Asian American man was beaten to death by a white father and son. Ultimately, the two were sentenced to a mere 3 years probation along with a $3000 fine, which prompted widespread anger and protests by Asian American groups. Stewart offered legal consultation on the case. While an effort to prosecute the pair for a hate crime later failed, the ordeal did kick off Stewart's unrelenting drive for civil rights and was the beginning of his decades-long track record of being a strong voice for the Asian American community. In 1998, he was the first Asian American lawyer to ever win the MacArthur Award. He also received an honorary doctorate of law at the May 2018 UCLA graduation ceremony. 06/28/2018. On the 28th of June, Chinese and foreign experts and scholars gathered for the GCPI - Tsinghua Forum. Co-organized by the Center of Chinese Entrepreneur Studies, Tsinghua University and the UCLA Asia Pacific Center, the forum facilitated a high-level dialogue on the three themes of “Philanthropy, Innovation and Talent Cultivation”, “Chinese and Overseas Chinese Philanthropy Outlook” and “Emerging Chinese Charities”. Featuring the chancellors and vice-chancellors of four world-renowned universities at home and abroad to the forum also fostered in-depth discussions on philanthropy in higher education with scholars from home and abroad sharing their latest research findings on the status of the Chinese charity field and Chinese philanthropy in comparative analysis. Stewart Kwoh, Co-Founder and President of Asian Americans Advancing Justice – Los Angeles, reported on the first phase of the “Global Chinese Charity Action” (GCPI) project, and presented the project's analysis regarding the motivations, areas of donations, donation trends and impacts of giving by Chinese philanthropists across Greater China and the US. The GCPI – Tsinghua Forum aimed to establish a network and physical platform to provide opportunities for Chinese philanthropists, industry insiders and academic researchers to interact, exchange ideas and cooperate offline as well as online. "What we do in our lifetime defines who we are. It is truly a blessing to give." 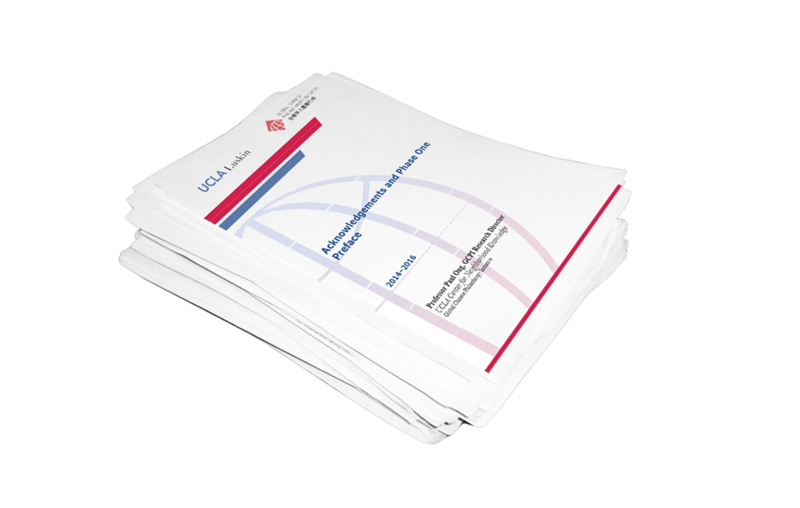 The Academic working papers represent the foundational research conducted for the project. They provide an overview of the magnitude, patterns, and trajectory of Chinese philanthropy, and a theoretical and conceptual framework to guide subsequent primary evaluation and translational research. Asian Americans Advancing Justice – Los Angeles (Advancing Justice - LA) is the nation’s largest legal and civil rights organization for Asian Americans, Native Hawaiians, and Pacific Islanders (NHPI). Founded in 1983 as the Asian Pacific American Legal Center, Advancing Justice - LA serves more than 15,000 individuals and organizations every year. Through direct services, impact litigation, policy advocacy, leadership development, and capacity building, Advancing Justice - LA focuses on the most vulnerable members of Asian American and NHPI communities while also building a strong voice for civil rights and social justice. The UCI Long U.S.–China Institute at the University of California, Irvine, aims to enhance and facilitate knowledge about the opportunities and challenges of China’s rise. As a premier academic platform to understand and formulate opinions about these opportunities and challenges, the UCI Long U.S.–China Institute engages with scholars and practitioners in the United States and in China around four key areas: (1) economic growth, trade, and investment; (2) social development and justice; (3) philanthropy and wealth management; and (4) risk and regulation. At the convergence of the fields of social work, urban planning, and policymaking, the UCLA Luskin School of Public Affairs identifies and develops emerging areas of research and teaching, cultivating leaders and change agents who advance solutions to society’s most pressing problems. Founded in 1994, UCLA Luskin incorporates the best practices in scholarship, research, and teaching in the fields of social work, urban and regional planning, and policymaking. Faculty are engaged in research that addresses pressing national and regional issues. The Lao Niu Foundation was set up in late 2004 by Mr. Niu Gensheng, founder and former chairman and president of China Mengniu Dairy Company, and his family with all of their shares and part of the dividends from the company. With the guideline “Improving ourselves by helping others and always being grateful; undertaking global responsibilities to educate people and protect the environment,” the Lao Niu Foundation is dedicated to “promoting education, protecting the environment, and practicing philanthropy for all.” By focusing on environmental protection, culture and education, and sector development, the foundation is striving to create a healthy and equitable environment for mankind and to “sustain the foundation to its 100th year and beyond.” By the end of June 2017, the Lao Niu Foundation had completed 208 philanthropic projects in partnership with 161 agencies, organizations, and individuals, covering 30 provinces in China as well as cities in the United States, Canada, France, Nepal, and Africa. Its total charitable expenditures exceeded USD 200 million (RMB 1.202 billion). The Long Family Foundation is a private foundation that was established in 1992 by John and Marilyn Long. The foundation aims to promote and support religious, educational, cultural, and research endeavors that align with their family’s values. The Wallace H. Coulter Foundation was established in 1998. Its benefactor, Wallace H. Coulter, was known for inventing the Coulter Principle, an electronic method of counting and classifying microscopic particles suspended in fluid. The principle was incorporated by Mr. Coulter in an apparatus to count and classify blood cells. The apparatus, which came to be known as the “Coulter Counter,” revolutionized the practice of clinical laboratory medicine and touches people’s daily lives with immeasurable impact. The foundation, led by Sue Van, its CEO and president, continues Mr. Coulter’s Wallace’s practice of providing risk capital for innovative initiatives through its grant programs. The Coulter Foundation has been a leading contributor to the advancement of biomedical innovation and is currently the largest funder in the Asian American and Pacific Islander community in the United States. © 2019 Global Chinese Philanthropy Initiative. All rights reserved.